How Can You Run a Successful Farmers Market? Fall 2017 Update: We have added a few suggestions to help celebrate the change of seaons at your local farmers market. Are you interested in running a farmers market? Farmers markets are awesome ways to help the community connect, provide people with high-quality local food, and have quite a bit of fun while doing so! Running a successful farmers market isn’t easy. It’s a lot of work – and though the rewards are great, you should know some of the basic rules about running a successful farmers market before you get started. We here at DialMyCalls have compiled a quick list of 5 tips that will help you organize, run, and manage a successful farmers market! Whether you’re a market manager, or just interested in farmers markets, read on, and learn about these secrets to success! This is the first – and most important – step to running a successful farmers market. You need to balance the goals, objectives, and needs of each group to ensure that each one is satisfied. Farmers – It’s important to choose a time and a season that works well for local farmers, and will allow them to sell their food to consumers for a long period of time, and at peak freshness. You also need to choose a time for the farmers market that fits their busy schedule. Consumers – Consumers will want a wide variety of locally grown, fresh foods, a diverse selection of goods, and prices that are reasonable. Community – The community at-large should be involved with the process of planning a farmers market. The input of community leaders, town officials, and committees should be taken into account when planning a farmers market, to ensure maximum positive effects on the community. By balancing these 3 factors, you can be sure that your farmers market will succeed! A central location in a high-traffic area – If you’re just starting a new farmers market, this is absolutely critical. You need to choose a great, central location in a naturally high-traffic area. A town square or a public park is a fantastic choice. Space for farmers to set up stands – Each farmer will need to set up their own stand, and you’ll want to make sure that each person has plenty of room to distribute their goods, and move easily between the stands. Amenities for shoppers – If you can choose a location that provides consumers with restaurants, bathrooms, and other amenities, you should try to do so. If you’re in a more remote location, you should consider placing some portable toilets, and talking to some food trucks about supplying your farmer’s market with food and drinks. Plenty of parking – Parking is very important for a great farmers market. You want customers to be able to come to your farmer’s market quickly and easily, and not have to deal with parking headaches. Shelters – In case of bad weather, the farmers market can go on – but having shelters where customers can stand if it’s pouring rain is a great idea. If your site has all 5 of these elements, you’ve picked the perfect place for your farmers market! The best farmers’ markets are chock-full of diverse products from local business owners. Not just great produce from local farmers, but products from a variety of local businesses. Talk to your local chamber of commerce, and do research to find great local small business owners who you can invite to your farmers market. Products like baked goods, prepared foods and snacks, locally-roasted coffee, crafts and, jewelry – these are all fantastic additions to your farmers market, and allow customers to select from a huge variety of products while shopping. *Fall 2017 Update* Fall is officially upon us and it’s time to start preparing for Halloween, Thanksgiving, Christmas, and of course, cooler weather. Make sure that your market has a pumpkin patch to draw in families looking to celebrate the season. A great farmers market is truly about cooperation. The vendors and farmers at your local market depend on this income to survive – so it’s absolutely essential that you listen to any concerns, comments, or input that they may have about the farmers market. Vendors can form a board of directors or a consumer advisory committee, and this is a great way to allow them to exercise a bit more control over the management of the farmers market, and ensure that any concerns they have are addressed. When you involve the vendors, your market will be more inviting to both farmers and consumers – increasing diversity of products, and sales. That’s a win-win! 5. Use Smart Marketing and Advertising to Spread the Word! Social Media – Create accounts on Facebook, Twitter, and Instagram for your new farmers market. This is a great way to promote your local market, and to give consumers and vendors information about things such as products available, scheduling, and special events! *Fall 2017 Update* Use the power of social media to get creative with advertising different Fall activities such as a pumpkin patch, hay rides or a pumpkin decorating contest — winners can receive gift certificates from the different vendors at your farmers market. 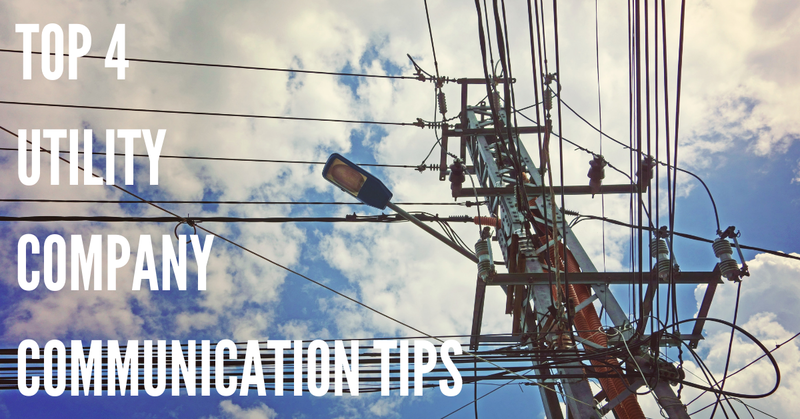 You can also partner with local community members and social media accounts to cross-promote, and ensure that you spread plenty of awareness about this new event. DialMyCalls – DialMyCalls offers a fantastic way to communicate with consumers about your upcoming farmers market. 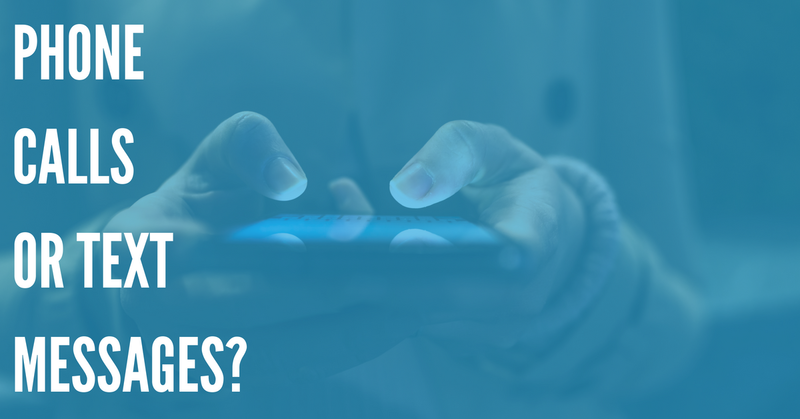 Using our mass notification system, if your customers sign up, you can send them customized SMS, voice, and email messages about the vendors and special events at your farmers market. Flyers/Posters – Placing flyers and community centers in public areas is a tried-and-true method for raising awareness about farmers markets. Hand out flyers on street corners, and place posters in community centers, and small businesses. While there are dozens of other ways to advertise your farmers market, these 3 tried-and-true techniques are sure to succeed! Follow This Guide – And Make Sure Your Farmers Market Succeeds! Whether you’re interested in starting a farmers market in your community, or just interested in local markets in general, we hope this article was helpful. Running a farmers market isn’t easy – and this guide doesn’t even touch on issues like scheduling, day-to-day vendor management, and community involvement. 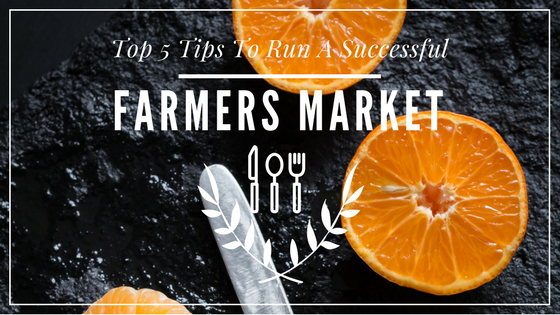 But if you follow these 5 basic tips when planning your farmers market, you’re sure to succeed!